The lovely Jennifer Aniston and her always enviable locks. How does this lady’s hair always look so amazing?! 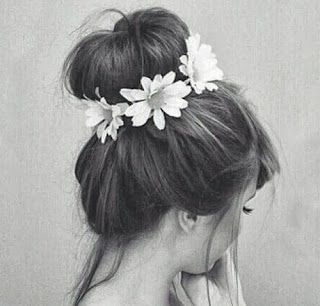 I don’t know why it is that I love this updo so much… it probably has something to do with the fact that the bun in the picture, looks exactly like the bun that I normally wear and it gives me a sweet idea on how to spice it up. So cute! 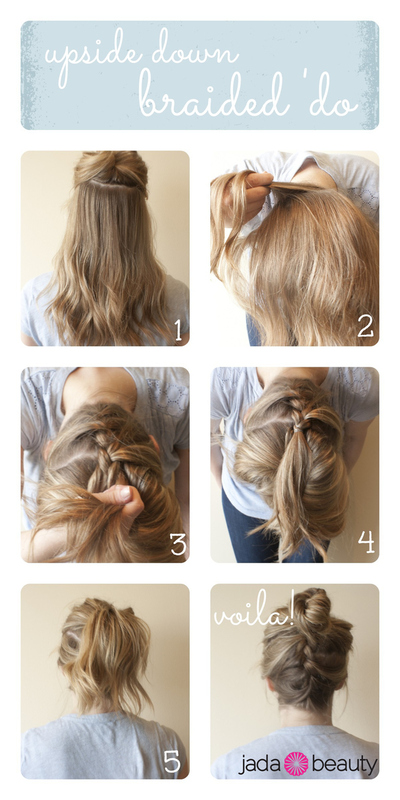 A really simple and surprisingly adorable way to style your hair, give it a try! 1. Gather the top half of your up and clip it out of the way. 2. Flip your head over, then take a small piece of hair at the nape of your neck to start your braid. If you don’t know how to French braid, watch our tutorial first. 3. Continue French braiding until you’ve incorporated all of your loose hair into the braid. 4. Braid your hair down a little more (regularly braiding the end, no longer French braiding) before tying it off with a clear elastic. 5. Flip your head right-side-up and release the top half of your hair. Gather all of your hair – the top half and the bottom braid – into a high, messy pony. Once you feel your pony is secured with an elastic, you can undo the elastic from the braid. 6. Twist your pony into a top knot (tutorial here) and secure with spin pins or bobby pins. Hairspray that baby and…voilà! Flat iron with bent ends: Here’s the trick. Right after the hair comes out of the flat iron, you’ll want to drape it over the brush as you see in photo 11. Let it cool for about 10 seconds and set it down. Once the hair cools with a little bend move to the next section. Know what drives me absolutely insane? When I’m trying to rock a high ponytail and I finally get it as high as I want it only to discover…fly-aways. All. over. the place. You can’t go through and fix it with a comb and hairspray or else the top of your pony is going to get all messed up! But what you can do is take an old toothbrush, spray it with hairspray and touch up all those nasty flyways. See ya fly-aways! So…who’s been using bobby pins the wrong way for years? *Raises hand* Apparently me! I’ve been trying out the “right” way to use them lately and I have to admit, it seems to grab onto your hair a bit more gently. So, if you’re like me and have been using bobby pins the wrong way for years, try this way out and tell me how it works for you! Have you ever seen a girl wearing a super high ponytail and it looks crazy, ridiculously long? Well, here’s how to rock a high pony without losing any length! This is mostly up here because it’s adorable! 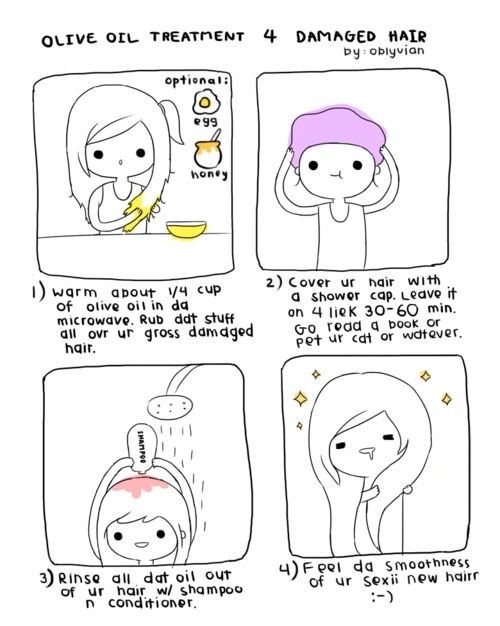 But hey, it’s also helpful to girl’s who’ve never tried olive oil in their hair before. *Warning, sometimes it takes a couple rinses with shampoo to get all the oil out of your hair! Possibly my most favorite brunette color up to date! So many highlights but they don’t look too streaky. They’re nice and thin so they don’t end up looking too stripey like some other highlights I’ve seen.